Coming To Zero – A journey to a simpler life. I realise that my blog was quite neglected this year…well, these things happen. 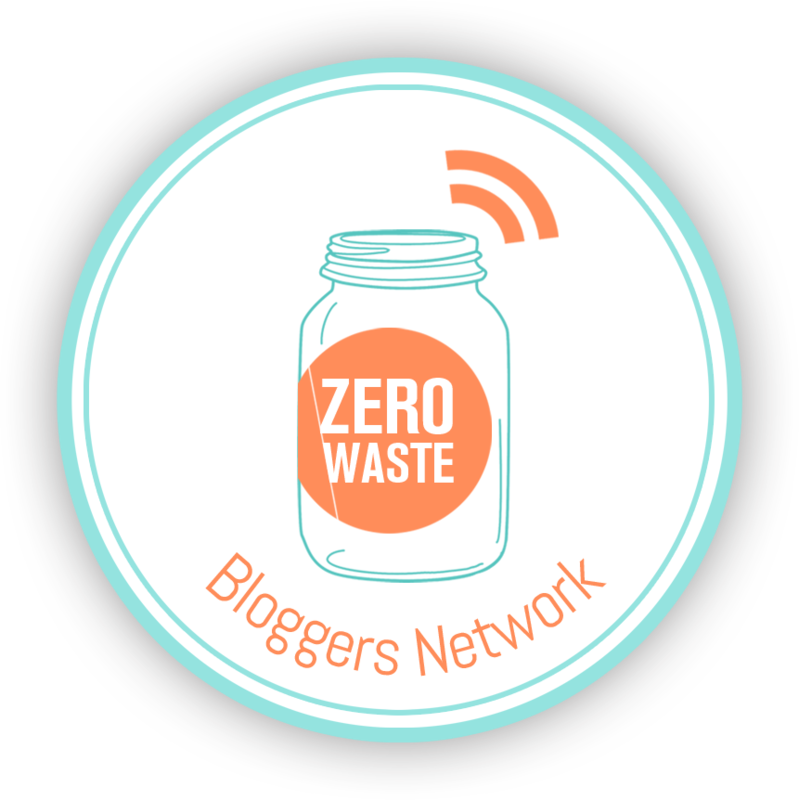 But when I was presenting two foodie workshops at the recent Zero Waste Festival and was asked if the recipes will be on my blog I knew I’d have to do it! So, it might be a bit later than I’d like (to keep up with the year-long spirit!) but here it is. This year, I focused on easy and quick homemade edible gifts that will bring joy to the foodies in your life. If you want to have a look at my last year’s edible presents, they are here. I love anything that fits into a jar (no surprise there). The nicer the jar, the better. But any suitably sized jar will work for pretty much all of these. A super-quick recipe for this trendy treat with the bonus of being able to get all of the ingredients loose (from Noms if you are in Dublin, for example). This is very scalable recipe, all you need to remember (and possibly write on a tag you attach to the jar) is that you need one teaspoon of this mixture per drink. The maths – add 2tsp of each ingredient and you will get 6 portions out of it. To make the actual drink, mix the powder with one teaspoon of runny sweetener of your choice (maple, date or agave syrup or honey) and add 200ml of hot milk (plant-based, if you like – soy milk works best I hear!). Sip with a smile. I was recently experimenting with making almond milk. If you ever tried it, you know that you’re left with the nut pulp after you drain the milk out of it. You can always dry it and pulse it to make almond flour but I found a recipe for these delicious little bites which would also make a great edible present. These also make a great sweet snack at parties. Imagine a jaffa cake without the sponge. Yum. Either way, these are quick and look pretty. I don’t give the quantities on purpose – it depends on how much chocolate you want to use and what consistency it melts to. Maybe start with a half of a bar (50g) and 2 mandarins. At the workshop, I mentioned a recipe for a gingerbread syrup – I came across a recipe and realised that I might use up some edible glitter I somehow still possess. But only might. Make up your own mind, if you want to here. Annemarie, the Zero Waste Chef, wrote a very informative piece on this topic with loads of pictures. Give it a read! Might be too late to do this one now as it needs to macerate for about 2 months before use but I feel a little label with ‘ready to use by’ can do the trick! I also wrote about cookie mixes, pralines and candied peel in last year’s edible gifts post. In last year’s post I also detailed recipes for crackers, carrot top pesto, marinated cheese and a classic apple chutney. This year my favourite pesto is one with an unlikely main ingredient – parsley. I also found a great way to keep it vegan, if you wish – just swap the cheese for nutritional yeast. Put the walnuts, parsley, cheese, garlic and salt in a food processor and pulse for a few seconds to combine. Scrape down the sides of the bowl, then pulse again. Drizzle in the olive oil while the machine is running just long enough to incorporate the oil, about 20-30 seconds. Add more oil if you want runnier consistency. While I was looking for some vegan party food, I came across a recipe for a black olive tapenade that can make a nice edible gift too. Easy to make too and ingredients available to get loose. Fry thinly sliced mushrooms, garlic and mixed herbs in olive oil until soft. Once cooked, cool the mixture a little, place in a blender with the olives and walnuts and blend until smooth. Or rough – however you like it. Add lemon juice, salt and pepper to taste. There is an abundance of recipes on the world wide web for both savoury and sweet spicy nuts – a healthy snack that is just made for jars. In case you are running very very late, you can also buy these – straight into a jar of course! Last year, I listed recipes for mulled wine mix (did you know you can mull white wine as well as red?) and eggnog which went down a treat. I was, however, asked by my vegan friends if there is something for them as well. So this year, I tried and tested an ‘eggnot’. Soak the dates, cashews, apricots and mixed spice in the brandy overnight. The next day, tip the mixture into a blender and add the seeds from the vanilla pod and the almond milk. Blitz until smooth, then pour into eight tall glasses (use a sieve, if you like) with ice and grate some nutmeg on top. It’s a bit less creamy than a regular eggnog but it’s pretty good – but I do recommend serving it cold….which makes it a better party food than an edible gift but you can still go ahead and gift it. If you use homemade almond milk, however, it’s best to consume straightaway or the next day (give it a good shake beforehand). And finally, this is my new favourite yummy gift that requires very little work, only a bit of patience and time. The original recipe comes from here. Pare the zest from the oranges using a peeler, making sure that none of the bitter white pith is left on the peel. Put the zest, spices and vanilla pod in one large or several smaller clean jars, then pour in the vodka. Seal and leave for a week, shaking the jar each day. After one week, you’re ready for the next stage. Boil a kettle of water. Put the sugar in a heatproof bowl, then pour over 500ml boiling water, stirring until the sugar dissolves. Add to the vodka mix, then leave for another week, shaking the jar regularly. Strain into decorative bottles, discarding the peel and spices, and store in a cool place. Before giving, drop some fresh spices and peel into each bottle to decorate. Will keep bottled for 6 months. Cheers! When I first heard about sourdough about 2 years ago, I was intrigued but thought it would be too much trouble and would not fit my lifestyle. Feed a bacterial blob twice a day? You must be mad. But as time went on, the intrigue stayed and my lifestyle, or maybe just the view of what’s worth spending my time on, has changed. When I saw that there would be a fermentation meet-up at the first Zero Waste Festival a year ago, I was ready. Ready to give proper, homemade bread a chance. After some wobbly beginnings and a few trials and errors, I found a way to keep the sourdough alive and myself sane. Rest assured it was a bumpy ride – despite my efforts to consult Google in the hope of giving me an easy ‘how to’. I found several methods but none of them really fit my schedule. Then I came across Zero Waste Chef blogspot ‘How to Prevent Your Sourdough Starter from Taking over Your Life’ and that was it. Anne Marie is quite the chef and she uses sourdough regularly. Therefore she doesn’t store her starter in the fridge as I do. She also made up her starter from scratch. That might have been a step too far so I went with the safe method of getting it off someone who knew what they were doing. I believe that the starter was 20 years old when I bought it so now she’s a full-grown adult of 21 years. I called her Marjorie, just for fun. It might have taken a while to get to where I am now which is because it needs a few shots to find out how your flour, water, bacteria and oven behave. It also depends on the time of the year – every fermentation is quicker in warmer weather – your sourdough starter might be ready after 6 hours when it’s hot outside rather than 8-10 hours when it’s not. Nevertheless, a year on, I am now happy with my sourdough bread and the occasional sourdough cake or pastry. So, if you are a Monday to Friday working person and like the idea of having freshly baked bread at the weekend but don’t have time to attend to (and bake from) your sourdough starter every day, here is my regimen. I keep my sourdough starter in my fridge in a flip-top jar. I usually keep about 90-100g of it at a time. Let’s this be Jar #1. Thursday night (8-10pm): Take your sourdough starter (Jar #1) out of the fridge. Leave two tablespoons of the sourdough in the jar you store it in and transfer the rest into Jar #2 (or a suitable non-metallic container). Feed the Jar #1 with 40g of fresh flour (I use spelt wholemeal) and 40g of de-chlorinated water. I always keep a jug of normal tap water on my counter – the chlorine naturally dissipates after a couple of hours. Mix well together so that there is no loose flour and put aside on a counter-top. Put Jar #2 back in the fridge. Friday morning (8-10am): The mixture should at least double in size and show nice bubbles throughout. Repeat feeding the starter (Jar #1). Leave two tablespoons in the jar, add fresh flour and water, transfer the rest into your Jar #2 from the fridge. You can make so many delicious things from this ‘discard’ – I make Anne Marie’s crackers that I adjusted a little for our taste. Friday night (8-10pm): Decide what you are going to bake the next day and how much leaven you will need. Prepare the leaven according to the instructions and set aside to be ready to bake in the morning. The leaven is basically just a lot of sourdough starter. Following the chosen recipe, combine starter from Jar #1 with fresh flour and water. You can now prepare your starter for the next week (Jar #1)– following the feeding method above. Put it in the fridge until next Thursday evening. If you forget to do this now, you can always do it tomorrow from the leaven. You can now also think what to make from the unfed starter in Jar #2. Saturday morning: Start baking. There are many many recipes on the web and in various cookbooks – start with what suits your taste the best. Besides that, I always make the crackers from my Jar #2. Crackers, waffles, pancakes, crumpets….my brunch favourites! # I use spelt flour only for my sourdough starter but it’s up to you what kind of flour you use. It can be white wheat, whole wheat, spelt, rye. Every flour gives a different flavour and consistency to the starter. Some purists only use rye flour for rye bread or spelt flour for certain cakes and keep several jars of different starters at a time. Giving my simplifying tendencies, I only keep one starter. My bread recipe calls for rye leaven and strong white flour for the actual bread flour but I use my spelt starter with rye flour to make the leaven and it works perfectly. # If anything happens to your fridge starter (like, I don’t know, water from thawing chickpeas gets into it :)) and you still have some unfed discard in the fridge, you can easily revive it. You can also dry or freeze some starter for mishaps like these. # A healthy starter smells sour but pleasant. If it gives off an acetone whiff, it’s no good – get a new one or resurrect some from your fridge discard jar. # If your starter (or discard) develops a thin layer of black liquid on top, it’s not all lost. This is hooch – just pour it out and the rest is good as new. # If a thin layer of velvety film appears on top, likewise, just scrape it off and throw away. This is kahm yeast, an unpleasant but harmless growth. # But most importantly, do give it a try. Maybe it won’t be for you. On the other hand, maybe you will never go back to anything other than a good slice of sourdough bread. I created the below (not only) Christmas gift guide last year to help you give greener gifts to your family and friends. As we are getting closer to the big day, it’s relevant again…so, in the spirit of the 5Rs, you are more than welcome to reuse it again! Happy (conscious) shopping, making or just giving! P.S. If you are based in Dublin, Ireland and would like some more inspiration about how to waste less this festive season, pop in to the Zero Waste Christmas Festival that is happening on Saturday the 9th of December in the St. Andrew’s Resource Centre on Pearse Street. There will be workshops, a swap shop with a dedicated Christmas jumper rail, bulk and unpackaged food and non-food products, ZW essentials, natural cleaning products and more! I will be preparing some edible treats if that’s your gift of choice at my workshop at 12noon. You are welcome to join me and sample away! I wake up in the morning and shuffle to the bathroom to brush my teeth and wash my face. While squirting my ‘compromise’ toothpaste (it’s all natural but it’s still in a plastic tube) on my bamboo toothbrush I consider if I’m maybe ready to try that homemade toothpaste with coconut oil. Well, the last one I bought at a farmers’ market had bentonite clay in it which is really just ‘white mud’. Let’s just say that didn’t work. I put on my cycling gear and head to the fridge to take out the food for the day prepared last night. Overnight oats, some leftovers for lunch, another jar with snacks – nuts, seeds and dried banana chips I managed to buy in bulk. Sometimes, when I’m packing the salad, the thought of that jar weighing possibly twice as much as those leaves crosses my mind, but it’s quickly followed by the ‘more exercise for me so’ thought. I kiss my other half goodbye and hop on the bike. As I am approaching the cars stuck in the bottleneck leading to the city centre, I am silently judging them from my high-horse, ehm, saddle…as they sit in their gas-guzzling pollution-puffing machines. I smile at my efficiency but frown at all the smoke I have to sniff in order to be green. Go cyclists! I take a shower (which could be shorter but the hot water feels so gooood), innerly praising my employer for providing the facilities. As I am using my shampoo bar on my hair I’m thinking about the possibility of going no-(sham)poo or just water washing. But then again, could I handle smelling like vinaigrette? I put on the store-bought deodorant which I can’t wait to use up because I want to have a go at the homemade stuff. A mental note creeps in: get arrowroot powder for the recipe. Fresh as a daisy after the morning workout (streamlining does work – commuting on the bike means no need to go the boring gym – yay! ), I make myself a cup of tea. I’m feeling smug praising my decision to stop drinking coffee all those years ago. It was long before ZW and it started as an experiment but it seems to have taken hold. The tea is loose, a great maté blend from the tea shop where you can fill your own tin. It’s funny how it’s easier to get luxury items without packaging, like tea and nuts, but looking for a few lentils in bulk can be a nightmare. I wish there was a proper bulk shop around but I’m happy with the bulk options I found so far (and they seem to be growing!). After steeping the tea, I put the leaves into a jar and I explain to my curious colleague that at the end of the week, I bring the jar home to empty it in my compost bin. I wish my company had compost bins. They’re doing well to have recycling bins in, it’s a start. Perhaps, if I put my mind to it, I can make them change theirs. As the days continues, I go about my work. From time to time I think how great it would be to work for a properly green company, one that works in the sustainability industry. Immediately afterwards I think that working on my own green venture would be even better. One can dream. Or plan 🙂 While snacking on my nuts from a jar, I occasionally check the local Zero Waste Facebook page. Sometimes I comment and think back about the beginnings of my ZW journey…how much I learned and how much I changed my habits since! Figuring out what worked and what didn’t was the fun part! And it still is. For lunch, I have my no-food-waste-in-my-house leftover provision. After I’m finished, I casually check the canteen’s general bin for any recyclables. Most of the days, there are some. As I’m washing them, I think about what would make others actually give a crap and at least recycle. Then I think back to those days when I had a ready-made salad packed in a plastic bowl for lunch, a plastic bottle of orange juice and a packet of crisps or a Kit-Kat for mine. Thankfully, those days are gone. I put the recyclables where they belong and think that if there was a deposit system for plastic bottles, it would be much easier to get people to change. I just can’t grasp how all the plastic bottles get used for about 30 minutes and then get dumped. Sigh. Shaved coconut wrapped in plastic. Seriously?! After lunch, rain or shine, a short walk is in order to clear the head and get some (reasonably) fresh air. I walk along the canal and pass a lunch food market with lovely smells from all the different kitchens. Instead of looking at their menus, however, I look around at the amount of polystyrene trays and plastic cutlery left behind. They are in a bin in the best case, near the bin or, in the worst case, on the footpath. For about the fifth time that day, I cannot help thinking if my own ZW efforts can change anything. All the plastic I avoid and all the rubbish I don’t throw away will still be created somewhere. I feel a bit down but then I realise it doesn’t matter what other people are doing right now. As long as I keep doing my bit, there is a chance I can spread my way of thinking. Then I remember that activism is the best way to change things so I decide that I will send a message to the market organisers to see if they could maybe provide more bins or compostable food containers. Or, even better, to encourage customers to bring their own lunchboxes. Bit by bit, starfish by starfish. I finish up my work, gather all the empty jars from the day and rattling like a bottle bank I hop on my bike. As I am cycling and thinking what culinary marvel I will try to create for dinner (the veggie box arrived yesterday so I have lots of fresh produce to play with), I make a list in my head of things to do…water the raised bed with some semi-decent gardening attempts, change the beer traps for slugs who love the aforementioned attempts, buy some baking soda, trying to find that Redecker dish brush online and find out who could crochet some dishcloths for me…I am flying on the bike (reasonably restricted by the jars’ clanking) but have to, yet again, stop behind a puffing bus at the lights. Ah well, ups and downs, ups and downs. It’s strange to think that just a couple of years back, none of these thoughts crossed my mind in an average day. I guess this is what happens when you find a cause that you really want to get behind. But I do sometimes wish I didn’t have to think about these things so much and living sustainably was the norm. Until then, I’ll happily do it all again tomorrow. It’s something I kept hearing about when I was a child but we never actually made it at home. Probably because we lived four doors up from a beekeeper who always supplied us with amazing local honey. I am talking about ‘dandelion honey’, another Spring treat that’s quite satisfying to make! It’s a very simple, 4-ingredient recipe – water, lemons or oranges, sugar and dandelion flowers. Since it’s best to collect the flowers and steep them without washing (the pollen strengthens the flavour), I picked them early in the morning after a night of rain and before the doggies could get to them. I guess since the extract is boiled afterwards, it’s pretty safe to use them without washing. A little piece of advice: the collected dandelion heads will stain your hands and your bag so use one that can get dirty and perhaps a pair of gloves. Cover the dandelions and sliced lemons/oranges with 1.5l of cold water. Bring to the boil, simmer shortly, turn off the heat and leave to macerate for 24 hours. Strain the mixture through a very fine sieve/muslin cloth/nut milk bag/tea towel or whatever you can find and squeeze out all the liquid. Add 1.5kg of sugar and bring to the boil. Simmer uncovered on low heat for about 1.5 hours or more, if you think it’s too watery but the mixture will thicken when cooling so don’t be too stressed! The above recipe makes about 1.5l of syrup (5 smaller jars and 2 Bonne Maman jam jars :)). Pour the syrup into warm jars, close tightly, turn upside down, cover with a blanket or towel and leave to cool. Done! The consistency and colour of the finished product are very much like that of proper honey and even the taste and smell are very similar. Another good thing about this homemade sweetener is that the only waste I created was the paper bag from sugar. As a bonus, even though I am not an expert, it looks like a valid vegan honey replacement if you happen to be looking for one. I cannot wait for our Sunday pancakes and putting it to the test in some oaty flapjacks! What would you use it for? My favourite season may be autumn but who wouldn’t love spring? When almost suddenly, after a long grey period, there are colours all around. Greening trees, yellow daffodils, blue hyacinths. The smells of spring are even more enticing. Freshly cut grass, blossoming gorse bushes and fresh crisp mornings with a promise of a sunny day. Walks and runs are becoming more interesting, there are suddenly things going on…plants, animals, everything is waking up. One of the ultimate spring signs for me is a little green plant with a distinctive smell and taste. Wild garlic. Called ‘bear’s garlic’ in Slovakian, this plant with dark green leaves at first and beautiful white flowers later on, is bursting with flavour and is the first dose of natural vitamins available after the winter hibernation. This year, I had a better idea and asked people who actually might know. (All hail Facebook!) I was right and the power of community demonstrated itself once again. Lovely people identified a couple of spots in and around Dublin (Phoenix Park next the the American Embassy and the Knocksinna Wood in Enniskerry, to be precise) and they were really spot on. Being a very happy bunny, I picked enough leaves to eat raw and make some pesto from the rest. The Allium Ursinum plant can be invasive so if there is a place it likes, it can overgrow there really fast. I still made sure though I only took as little as I needed and didn’t damage any other plants. You know, like a sensible human being. The raw leaves can be added to a green salad or used as a garnish for savory meals. My favourite use is simple though – on top of an open sandwich of sourdough bread and butter. A version with spreadable cheese works very well too. The collected leaves will last for a few days in the fridge, in an airtight container. You can also pick them leaving longer stems and store them in a bouquet in a glass of water in the fridge. They can be also frozen I hear but I haven’t tried that yet so cannot vow they won’t turn into a gooey mess when defrosted. I will try it though because any way to reminisce about Spring when there is a winter storm behind the window is very appealing. What I did try, and with a decent level of success may I say, was making a few jars of wild garlic pesto. There are a good few recipes online, I picked the Donal Skehan one and adapted it a little. As with any pesto, it’s a combination of a green part, a cheesy part, a nutty part and an oily part. These are mixed together with some basic seasoning to a consistency you like. Put all the ingredients into a blender/mixer and mix together. Loosen with some more oil if you want. Pour into sterilised jars and cover with olive oil to create a seal. Pour it all in sterilised jars. The above made about 3 cups of finished product, so you can half it if you prefer. Also, this batch was too much for my blender to handle at once so I made it in two batches. It lasts in the fridge between one week and one year, apparently. Well, go figure. I’d say if you pour a bit of olive oil on top to recreate the seal, it will last for a good while. There is no chance of that happening to my batch because I like it so much I put it in and on everything. And I mean *everything*…on a piece of bread with cheese or a hard boiled egg, stirred into a creamy veggie soup, on a savoy cabbage roll, on scrambled eggs and mixed with brie and gnocchi or pasta. Let’s just say I may be making another batch soon…as I cannot wait to try out more recipes to use the leaves I found online. Have you ever blinked twice and two moths were gone? That’s how I feel. It’s March already and a new post is long overdue. So here it is! One of the most pleasant things to happen so far in 2017 was a recent trip to Lisbon, Portugal. I have to say, going to a sunny place in February while living in Ireland, is a brilliant idea. Even if it’s for a few days, getting away from this cold grey weather feels luxurious. It also shows that following the advice of ‘less stuff, more experiences’ from my gift guide is totally worth it! On top of that, I tried to make it a valid sustainable trip and here’s my rundown. Thanks to booking.com I chose an ‘eco’ hotel for our stay. It wasn’t necessarily my preference but it did have the second best customer rating and offered a good deal so why not! Hotel Neya Lisboa market themselves as a sustainable hotel in the heart of Lisbon and they deliver on that promise. Room design using mostly natural light, no single-use toiletries, towel/sheet washing on request only, low-pressure water taps and recycling receptacles in the bin. Very little waste in the breakfast buffet also – almost no single packaging and they claim all unused food is distributed daily to a local charity. There weren’t many big supermarkets in the area we stayed in but a few small independent shops which were great for getting loose produce, basically any fruit and veg you can think of. They had the basic groceries and even though these were mostly packaged, there were olives and pickled fava beans (I think) to be had and also unpackaged local cheese. They insisted on a plastic bag but I was quicker with my Frusack and used it instead. …goods made from old tyres. A bit of rubber in your ear? Any idea what the lamp-thing might be? The one and only veggie stall. If decorating a house, I would definitely go for these. There were lots of famous Portugese pastelerias and basically any cafe you go to sells a variety of pastries and cakes – anything a pastry-lover could wish for. I’d love to include some pics but the food was always gone before I could take out the camera! We had no problem getting tap water in the restaurant. Only once did I get a plastic bottle. In comparison to that, all the juice bottles were made of glass. Lesson learned, juicy refreshments consumed. One of the highlights of the trip for me was a visit to the local bulk store, Maria Granel. I found it through this handy website. Coming from a city with no package-free shops, I came excited and equipped. I brought a few cotton bags and even some jars as I planned to stock up on spices. Let’s just say that once you become aware of the obscene amount of packaging in a normal shop, walking through all the bulk bins is very soothing. So I stocked up! On lentils, spices and snacks. Because, why not. The lovely girl in the shop kindly helped me with the Portuguese names and also let me take some pictures. Have a look! Honey, agave syrup and propolis. Since we live on an island and ferries to the continent take ages and aren’t very cheap, we flew to Portugal. I offset our carbon footprint which cost €6 for both of us. It’s less than a pint each and I felt better. The one thing I found lacking were the organic waste bins. I loved them in Barcelona and even though I’ve seen glass banks in Lisbon and bins for paper, plastic and metal, there were none for organic waste. I was reluctant to throw out our organic waste (mostly fruit ends) in a general bin. I was going to ask the restaurant staff to put it in their organic bin but somehow I felt they might not bother and it would end up in a general bin anyway. I was probably wrong but I ended up bringing it back home. Yes, I realise I might be slightly weird. The only other ‘downside’ was the constant presence of plastic bags in all shops and kiosks. I really liked the compostable bags we came across in supermarkets in Sicily and would love to see more of them in other countries. Portugal is a coastal country and I am sure they are aware of plastic ocean pollution. Hopefully it’s just a matter of time until they either ban them, tax them or make them biodegradable. All in all, it was a nice couple of days spent in a country where no one seemed to be too rushed or under stress but instead smiled and enjoyed the life.